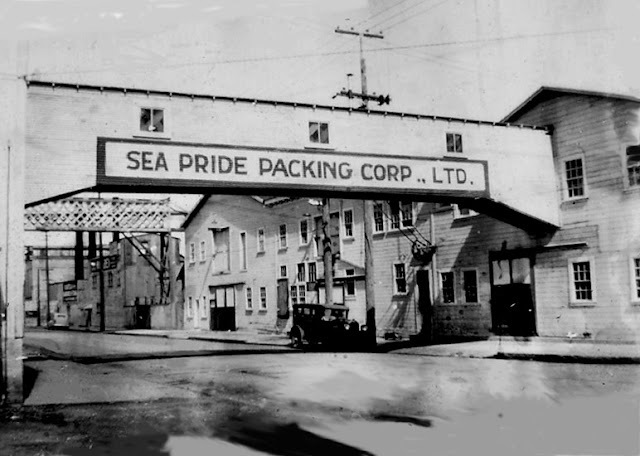 Of all the sardine-packing plants on Cannery Row, only the Sea Pride Packing Corporation was entirely owned and operated by Japanese-Americans, although a front company was eventually created to mask its ownership. For the first eight years of its existence, the Great Western Sardine Company operated just south of the Hovden cannery. It operated via a partnership between local Japanese fishermen K. Niino, Tsunetaro Oda. 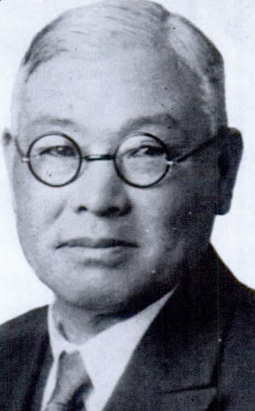 H.C. Suzukawa, and J.N Oda. On December 17, 1925, the company renamed itself Sea Pride under the presidency of Harry A. Irving to protect the identifies of the Japanese backers who were no longer legally allowed to own the company. Irving was also the president of the California Sardine Institute, which increased the visibility of Sea Pride. The company focused more on specialty products compared to its competition, with some of their top products being abalone and whale, as well as boneless filleted and kippered sardines, tuna, and mackerel. They were also one of the first local canneries to focus on reduction, turning discarded fish parts into powder for use as fertilizer and animal feed. Like most of the businesses on Cannery Row, a fire severely damaged Sea Pride in July 1926 and a second fire leveled the facility in 1930, but it was rebuild and continued operating. During the rebuild, a two-story warehouse was erected across the street from the cannery for storage and access to the Southern Pacific Railroad's Monterey Branch tracks. Like many structures on cannery row, the warehouse was built with a tall street-front wood-panelled facade with a decorated rooftop, although the Sea Pride warehouse is fairly basic in comparison to its neighbors. An elevated conveyor ran between the cannery building and the warehouse to transport finished goods for storage and loading onto waiting trains. 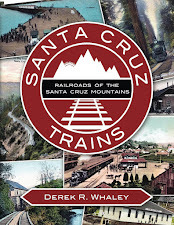 Behind the warehouse, a southbound-exiting spur ran parallel to the branch line tracks to cater to the cannery. This spur was in place before 1926 and the erection of the warehouse, which means crews originally had to shuttle goods across Ocean View Avenue to load them on the tracks. This spur was still in place in 1962, the date of the last Sanborn map of the area. This last map shows the presence of a short wooden platform behind the adjacent Hovden warehouse, but no similar platform appears behind the Sea Pride structure. 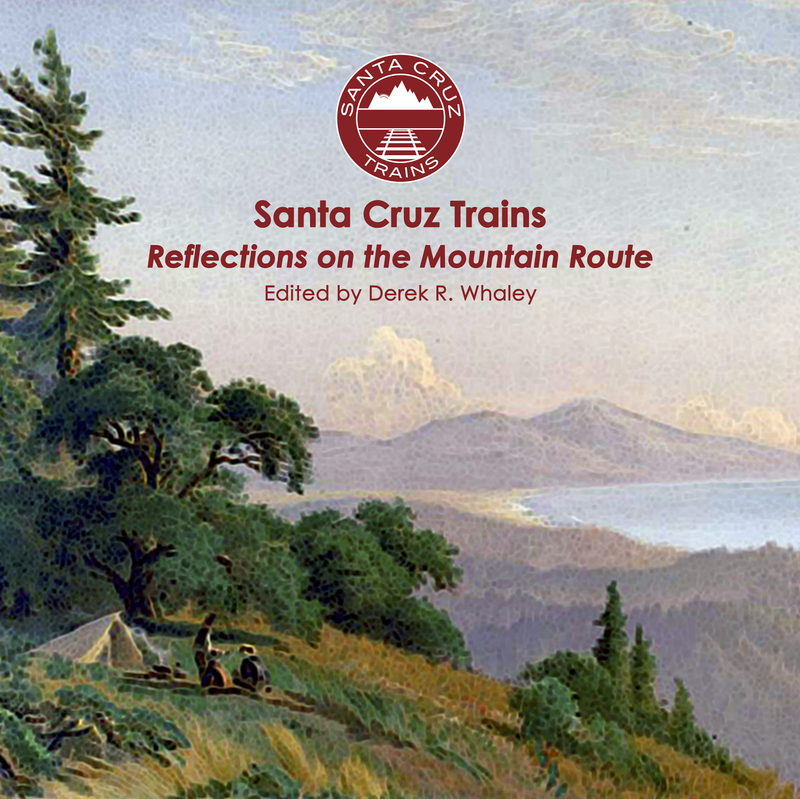 The current structure does not have any evidence of a platform, suggesting that none existed and goods were directly loaded onto the trains from the ground using forklifts and other apparatus. Sea Pride was sold to the New York-based Atlantic Coast Fisheries on December 22, 1945 and they continued to operate the packing plant until at least 1951, although when it finally closed is uncertain. By 1962, the cannery and warehouse are simply listed as "Cannery Row Properties" and are vacant. In November 1980, the abandoned cannery burned to the ground like so many before it and its remains were removed. However, the warehouse between Ocean View Avenue and the tracks survived and remains on the site today as a commercial space. The Sea Pride Canning Packing Corporation warehouse is now branded as the Cannery Row Trading Company, although its current tenants are unknown to this historian. The site of the cannery itself is now occupied by the south wing of the Monterey Bay Aquarium and is a completely new construction, the cannery having burned a few months prior to the aquarium's opening. Hemp, Michael Kenneth. Cannery Row: The History of John Steinbeck's Old Ocean View Avenue. History Company, 2002. Thomas, Tim. The Abalone King of Monterey: "Pop" Ernest Doelter, Pioneering Japanese Fisherman and the Culinary Classic that Saved an Industry. Charleston, SC: Arcadia Publishing, 2014. Thomas, Tim. Images of America: The Japanese on the Monterey Peninsula. Charleston, SC: Arcadia Publishing, 2011.